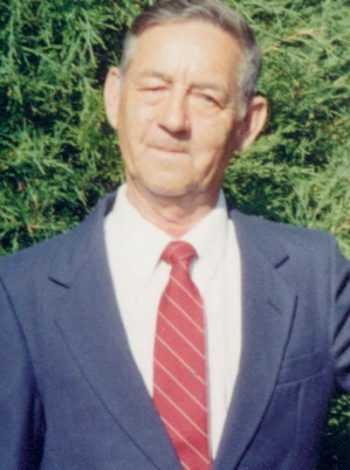 Passed peacefully away on January 27, 2019 at St. Clare’s Mercy Hospital, Joseph Stanslius Augot, age 84 years. Predeceased by his parents Ernest and Janie Augot, son Anthony, brothers Bernard Augot, John Augot and James Augot. Leaving to mourn his wife Muriel, children Ernie (Josie), Wayne (Jackie), Mike (Wanda), Bernice, Kevin (Angela), and Vicki, grandchildren Melissa, Brittany, Samantha, Christopher, Shawna, Nicholas, Colin, Colleen, and Katelyn, great-grandchildren Sophie and Olivia, brothers Albert (Daphne), Aloysius (Wanda), sisters Ursula (Herb) and Ann (Victor – deceased), life long friends John Giovannini and Eric Banfield, as well as a large circle of friends and relatives. A funeral service will take place in Rencontre East on Thursday, January 31, 2019 at 1:00 p.m. So sorry to hear of Joe’s passing. I am thinking of you all at this difficult time. My sincere sympathy to you all & your families. So sorry to hear the sad news. He was a dear friend of our family and I loved to see him visit when I came home. God love him. Bless you all at this time. Sorry to hear of Joe,s passing ,my condolences to all the family. We, the Ellis family got to know your father, Mr, Joe, as he was in the bed next to my husband. Great talks passed between us and we got an insight into part of his life, he loved when we talked with him and responded as best he could. Mr. Joe must have been an active member of his community and I am sure you will miss him. God rest his soul and may he have lots of stories to tell to the angels. God speed, Henrietta and Fraser, Roberta and Nancy. So sorry to hear of Joe’s passing. My condolences to Muriel and all the family…. Thinking of you at this sad time….. Very sorry to hear of Joe’s passing. Sending you my sincerest condolences. Sorry to hear of Joe’s passing. Hold on to all of the love you shared. Thinking of all of you. Our deepest Condolences on the passing of your father. We are all thinking of you during this difficult time. Our thoughts and prayers are with you all. Sorry to hear of Joe’s passing.Sincere condolences to all family. Our thoughts are with you . I am sorry to hear about Joes passing. He always spoke when he seen you was very friendly person. I am also sorry to learn he had Altimizers. Ernie, Wayne, Kevin, Mike, Vicki and Bernice. I know how it feels to go see your Dad and he dont know you. A big heartful pain it is. My condolences to you all and your familes, may you find in peace in knowing that others are thinking about you. Memories will help you through the days that are coming. R.I.P. Joe. Very sorry for your loss. I remember him fondly.